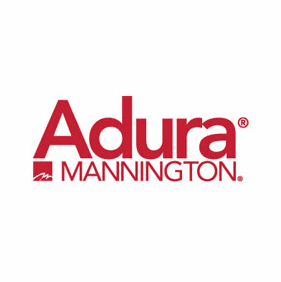 Mannington Adura Luxury Vinyl flooring was built for busy households in search of ease of mind maintenance, trusted durability and affordability. 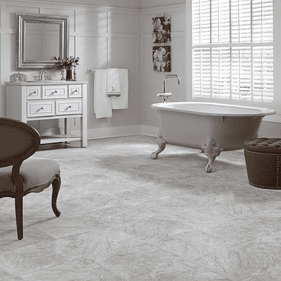 All that and more, Mannington Adura vinyls are an ideal solution to reliable flooring for every room within the home. Offering styles of stone and hardwood emulations, these vinyl floors are additionally an environmentally friendly alternative, perfect for infusing effortless elegance and sophistication for long-lasting flooring. 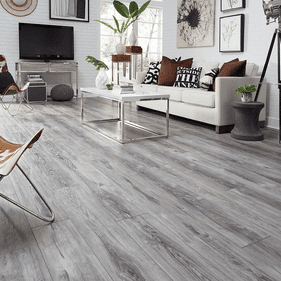 These vinyl floors are capable of withstanding everyday abuse, providing more cost effective, longer lasting flooring than authentic tile or hardwood can, while offering the same atmosphere of warmth and luxury that true hardwood and porcelain or ceramic tile can provide. 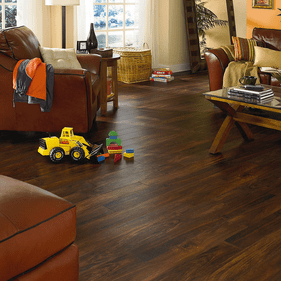 An excellent choice for anyone looking to upgrade the appearance of their home on a budget these vinyl floors offer a solution that will be cherished for generations. 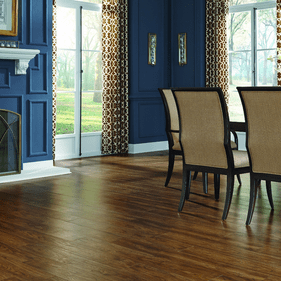 Authentic realism heightens the appeal of these stunning vinyl floors providing endless visual depth, charm and personality. 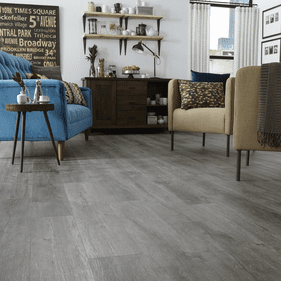 The Mannington Adura Homestead Luxury Plank collection reveals the organic beauty of hardwood with a radiant glow to cherry, maple, oak and pine species replications offered on extra-wide 6� planks. The Adura LockSolid series offers the distinct elegance of stone tile flooring with exceptional detailing of striations and cloudy complexions. The Adura Elements collection is another stone inspired line offering a tranquil, calming influence applied to 6x6�, 12x12� and 12x24� vinyl tiles for optimal creative customization.